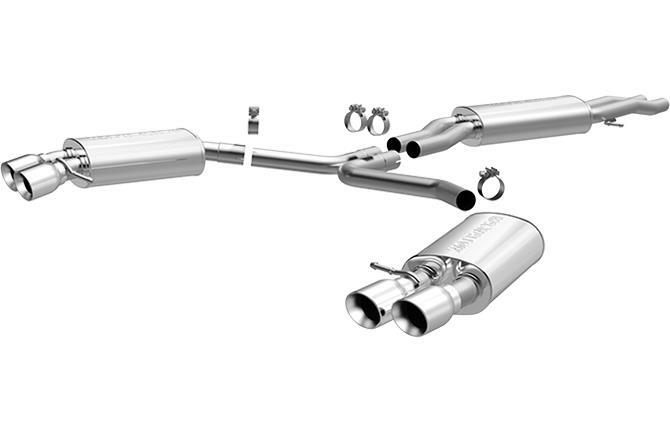 Made in the USA and engineered to last, for those seeking increased performance and better economy, MagnaFlow Touring Series Performance Exhaust systems deliver the smooth deep sound you want and the wide-open performance power you need. Our exhaust systems feature straight-through flow designs for the ultimate in unrestricted horsepower and torque for big power while maintaining exhaust efficiency. These systems are an engineered balance of interior and exterior noise levels and are tested against SAE j1169 standards. For additional protection and unique styling, optional High Temp Satin Black and Titanium Coatings are also available.